Harris County Sheriff’s Office detectives announce the arrest of Eric Black, Jr., a 20-year-old black male, on Sunday morning in a tweet shortly after midnight. 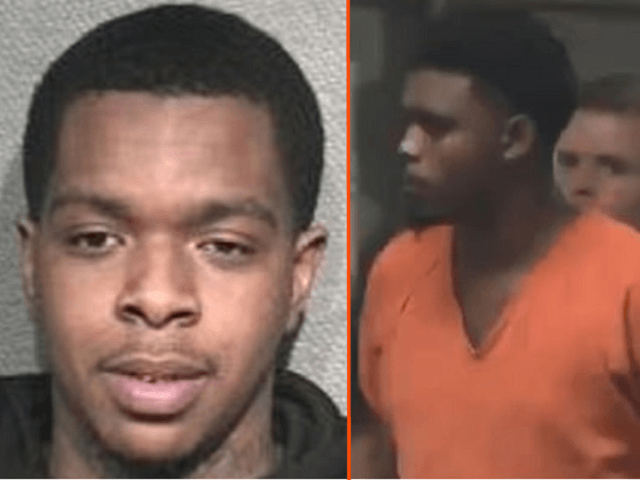 Officials stated that “all evidence gathered so far in the Jazmine Barnes Homicide case supports investigators’ strong belief that she and her family were innocent victims. The sheriff’s office filed charges of Capital Murder with the Harris County District Attorney’s Office. The investigation initially took a different route after a white man was seen fleeing from the scene. Police now believe that person was simply fleeing from the sound of gunfire. The murder of the little girl was initially suspected to be race-related, the Daily Mail reported. A second suspect is also believed to be in custody in connection to the shooting that left Jazmine dead and her mother, LaPorsha Washington, wounded, KTRK ABC13 reported. The local ABC affiliate identified the second suspect as Larry Woodruff, 24. He is alleged to be the shooter in the case but has not yet been charged. He is currently being held on a drug possession charge, officials said. Black allegedly cooperated with the investigation and said the pistol used in the shooting was in his home. After he signed a consent to search, detectives recovered a 9mm pistol they believe to be the murder weapon. Sheriff’s investigators initially released a composite sketch of a white male they believe may have been involved in the shooting. Washington subsequently said she believed the shooting was racially motivated, the Daily Mail reported. Both men arrested in the case are reported to be black males. Black reportedly told police that he was driving the rental car used in the shooting. Police stopped him on January 5 after he reportedly changed lanes without signaling. Police say they found marijuana in the car. As police talked with him about the drugs, police reportedly received a tip about suspects with the initials “EB” and LW” being responsible for the shooting, according to ABC News. Homicide detectives took over the interview and Black allegedly admitted to driving the vehicle as it opened fire on Barnes’ vehicle. Police say the pistol found at Black’s home matched the shell casings found at the murder scene. Black is being held without bond in the Harris County jail while Woodruff’s bond is set at $100,000 pending further investigation. Sheriff’s office officials are expected to announce more details in the case during a Sunday afternoon press conference.